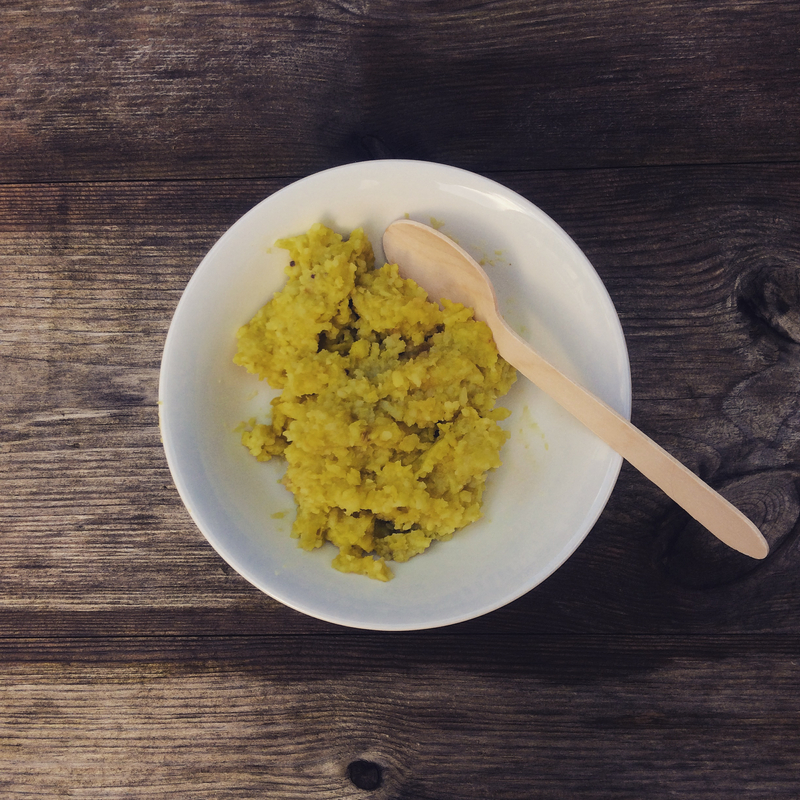 Kitchari is a seasoned mixture of rice and mung dal and is a basic dish in Ayurvedic cooking. Basmati rice and mung dal both have the qualities of being sweet and cooling with a sweet after taste. Together they create a very balanced food that is a ‘complete’ protein combination, and is also tridoshic. 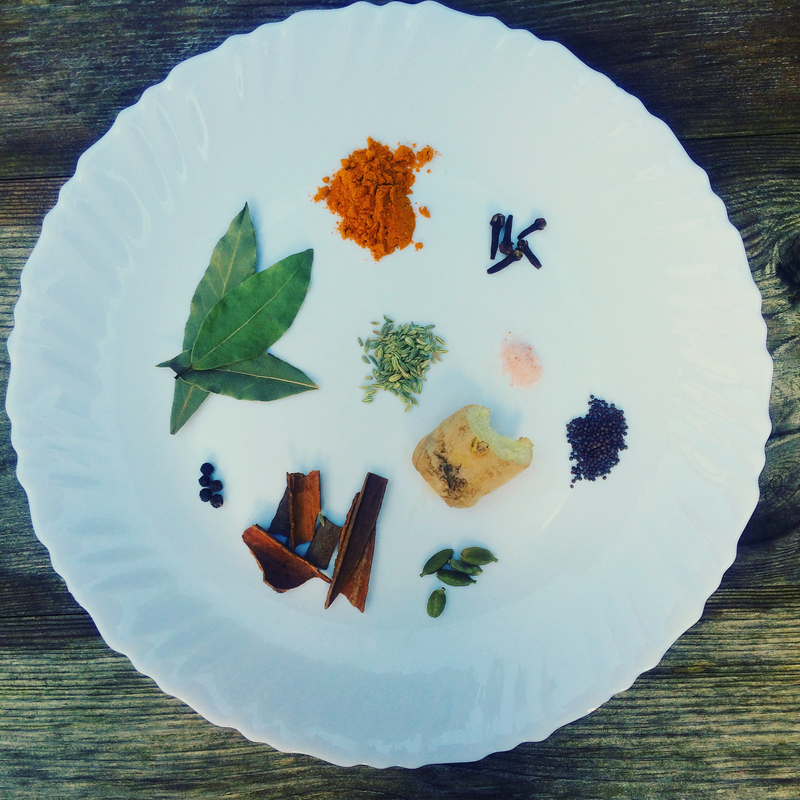 For more on Ayurveda and the doshas click here. Tridoshic means it’s appropriate and balancing for all three ‘types’ of people; Vata, Pitta and Kapha. Because kitchari is excellent for detoxification and de-aging of the cells, it is eaten when undertaking all of these things which have probably put you right off your food for a while now…. Especially during the Autumn and Winter though, kitchari is very comforting and ‘grounding’, and is perfect for maintaining agni or ‘digestive fire’ throughout colder months. Wash the mung dal and rice until water is clear. Soaking the dal for a few hours helps to make it more digestible. In a blender, put the ginger, coconut, coriander and ½ cup water and blend well. Heat a large pan on a medium heat and add the ghee, cinnamon, cloves, cardamom, peppercorns and bay leaves. Stir for just a moment until fragrant. Add the blended items to the spices, then the turmeric and salt. Stir around for about two minutes. Stir in the drained mung dal and rice and mix very well. Pour in 6 cups of water, cover and bring to a boil. Let it boil for 5 minutes then turn down the heat to very low and cook, lightly covered, until the dal and rice are soft (like thick porridge), which will take about 25 minutes. If the mixture looks too dry you can add a little more water during cooking if necessary. The recipe with these ingredients is tridoshic and will balance all doshas. If you want to add other spices, add 1 tsp fennel seeds and ½ tsp brown mustard seeds at the same time as the cinnamon, cloves etc. If you are not on a mono-fast or cleanse, then this dish is delicious with a boiled egg for non vegans (or tofu for vegans) and some mango chutney!